Female western grebe approaches her mate during courtship on a central Minnesota shallow lake. 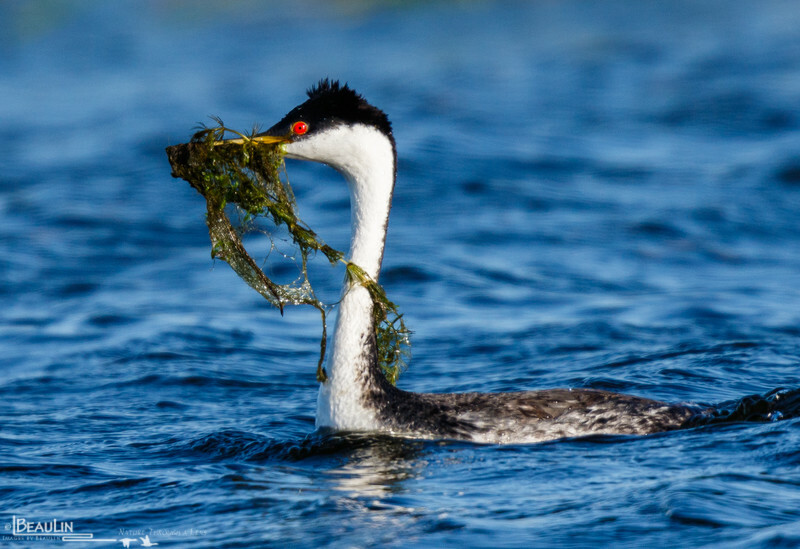 During "The Weed Ceremony" which is characteristic during late-pair formation, western grebes will approach or present their mates with submergent vegetation. This ceremony is comrprised of a sequence ritualized displays, usually occurring in predictable order, that is fascinating to bear witness to.